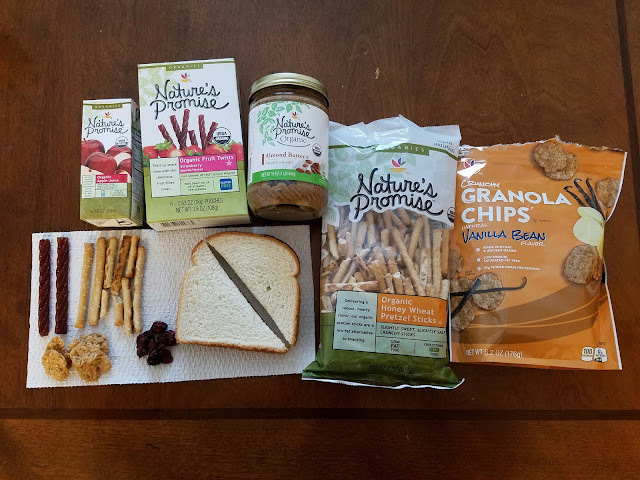 Shop Giants Nature's Promise Snacks for Back To School + Enter to Win a $25 GIANT Gift Card! 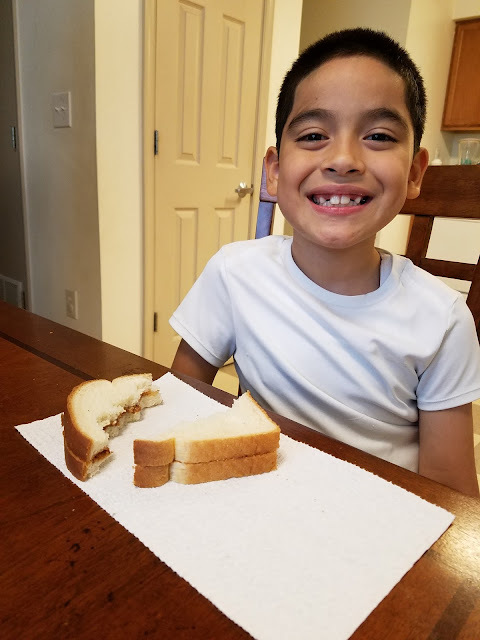 Just this past year, in the middle of March, I began to pack my son's lunch. He had a bad reaction to some foods so we decided we were going to pack his lunch for the remainder of the year. We would pack him a ham and cheese sandwich, with some fruit, gummy snacks, fruit juice, and some baked chips or goldfish. GIANT was nice enough to send me some Back To School goodies for free in exchange for an honest review. If you haven't tried GIANT'S Nature's Promise foods, you are definitely missing out. 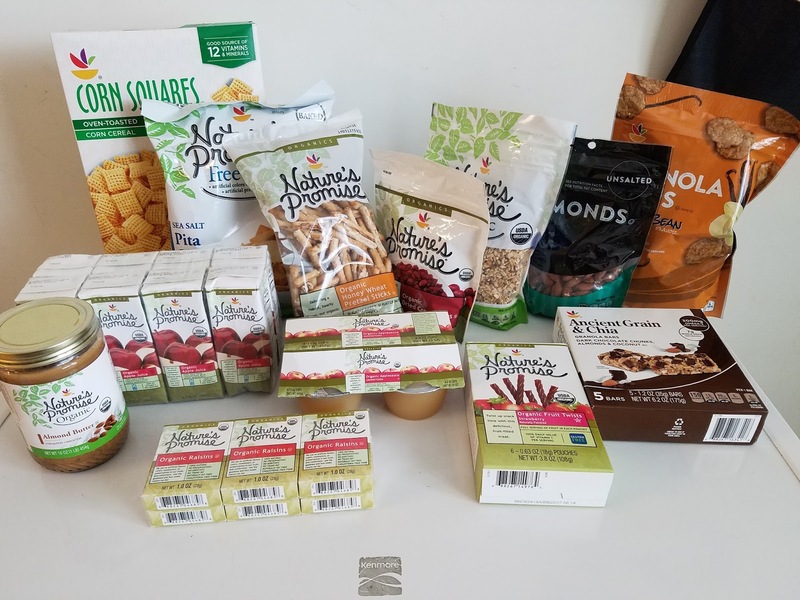 GIANT’S team of nutritionists are offering plenty of ideas to help you build a better lunch to a variety of organic and free from Nature’s Promise snacks to brand new limited time apple products, GIANT has got you covered for the first day of school and beyond! All of these products have made me question what I was packing in my son's Lunchbox. So I created a little sample of how his lunches will be packed for this upcoming school year. 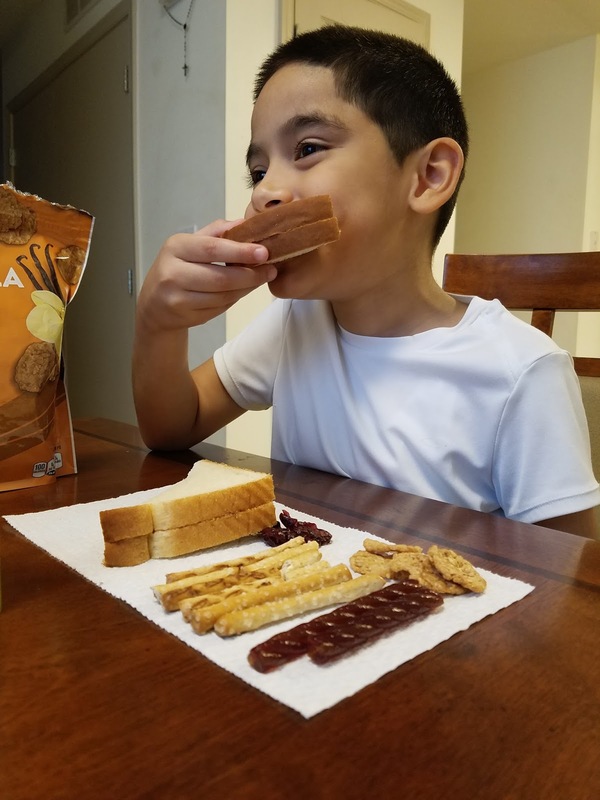 His sample lunch consisted of an almond butter sandwich, organic fruit twists, organic honey wheat pretzel sticks, crunchy granola chips, organic dried cranberries, and an organic apple juice! It was time for him to dig in! He just couldn't wait to dig in! We can't keep peanut butter in the house because my oldest has a peanut allergy (along with many other things) so almond butter was just what we needed! The first bite was tasty! He went straight for the sandwich. This was the first time ever he has even eaten an almond butter sandwich and he absolutely loved it! He ate almost all of his food (he doesn't eat the bread crust, what kid does right?). 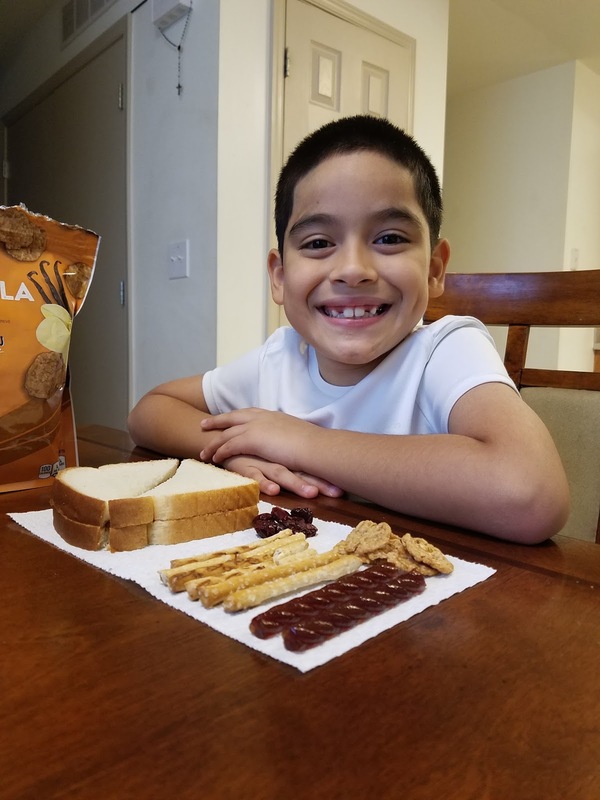 Are you looking for ideas to build a better lunch for your children? 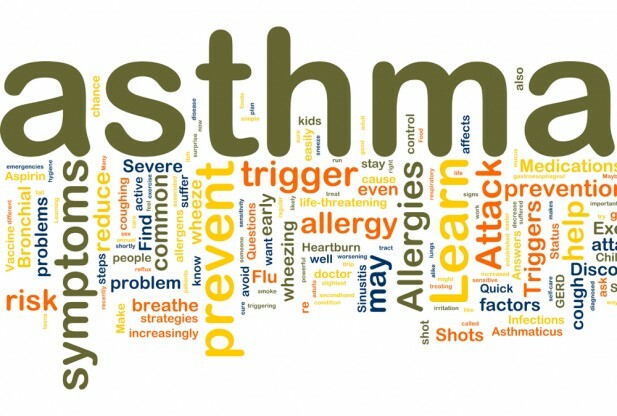 Check out these tips to help you! 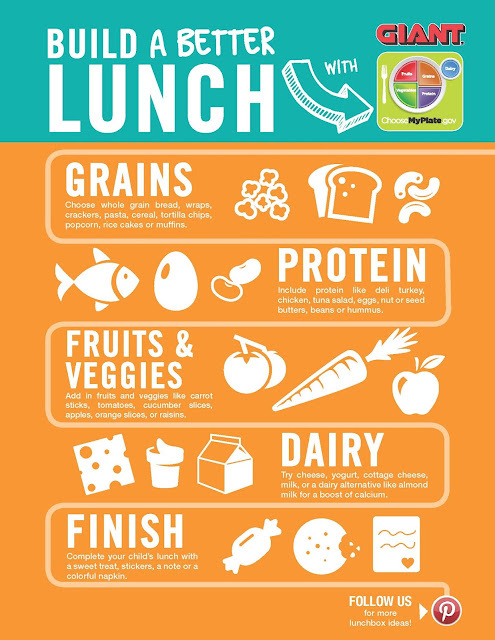 MyPlate: Use MyPlate as a reminder to include the five food groups - grains, protein, fruits, veggies, and dairy. 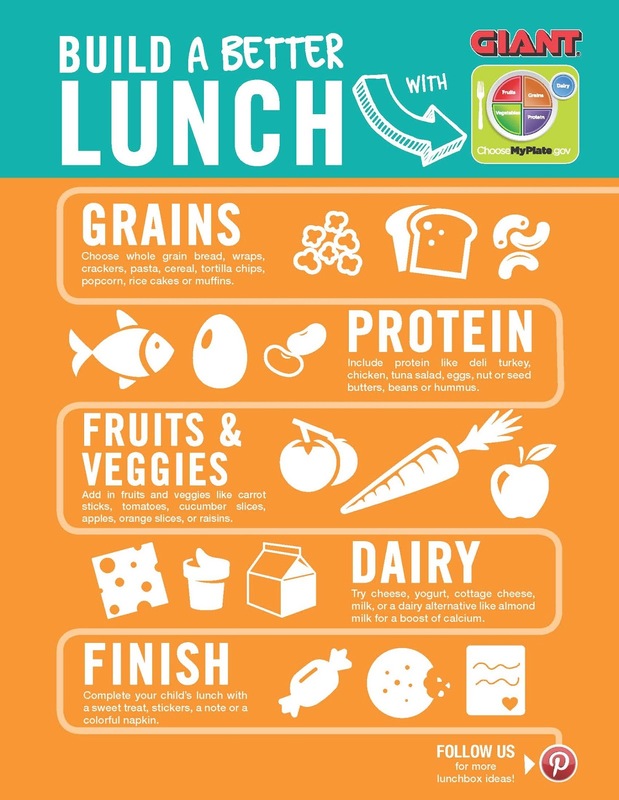 Food groups: Remember to include a minimum of 3 food groups in your child's lunch. Get your children involved: Have them help you make a list of all of the foods in each five food groups. Use the infographic pictured above to help. If you need more help, just head over to http://www.choosemyplate.gov/ for a complete list of the foods in each group. Use that list to help you stock up on those items. Organize: Use a lunchbox with divided sections to separate food or use separate containers to help. Think outside the lunchBOX: Lunch doesn't have to be a sandwich (like I made). Try something different like crackers, hardboiled eggs, or rice cakes with nut butter or make cute little skewers with fruit and cheese. There are so many possibilities. Just use your imagination. For more lunchbox friendly ideas, check out Savory in-store or at GIANT or MARTIN'S websites and go follow them on Pinterest here! Did you know that GIANT/MARTIN'S will be having free classes to help with nutrition? weight-loss, cooking, and more. 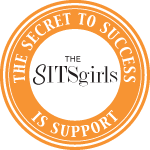 You can have individual consultations for $20 and participants receive back a $20 GIANT/MARTIN'S gift card upon completion! From August 12th to the 18th, you can purchase selected varieties of Stonyfield Greek Yogurt, Perdue Fresh Boneless, Skinless Chicken Breats, Mott's Snack & Go! Applesauce and Pillsbury Cinnamon Rolls and get their brand of the same products FREE! To help you get started with some Back To School shopping, I am giving away a $25 GIANT Gift Card. Just enter below, you have until the 12th to enter!